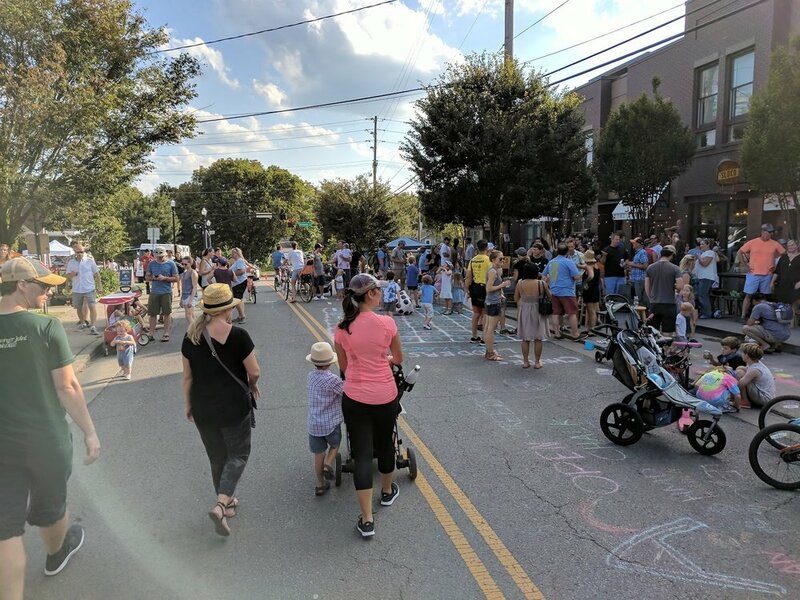 Open Streets Nashville is a movement to activate people, strengthen businesses and inspire public spaces by temporarily closing streets to cars. 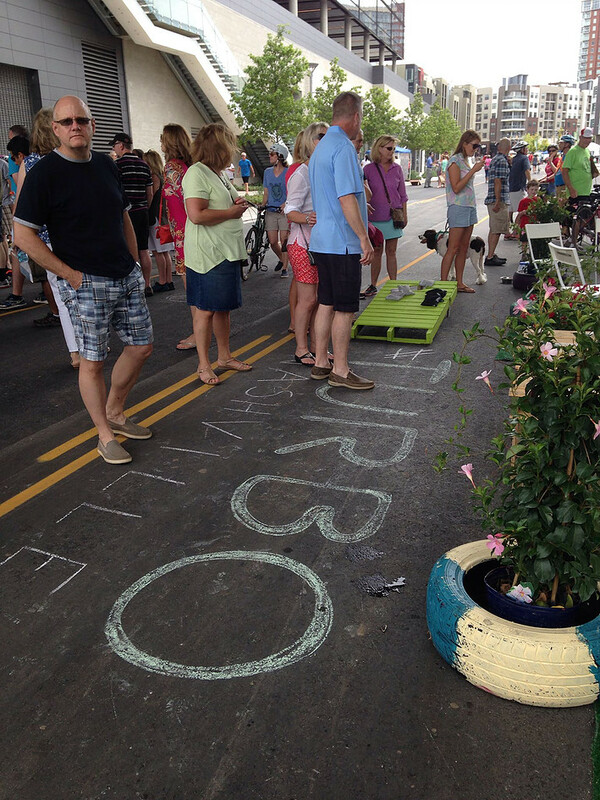 Free to the public, the event turns the streets into a park space that connects diverse portions of the city and offers communities the opportunity to experience their city streets in a whole new way. 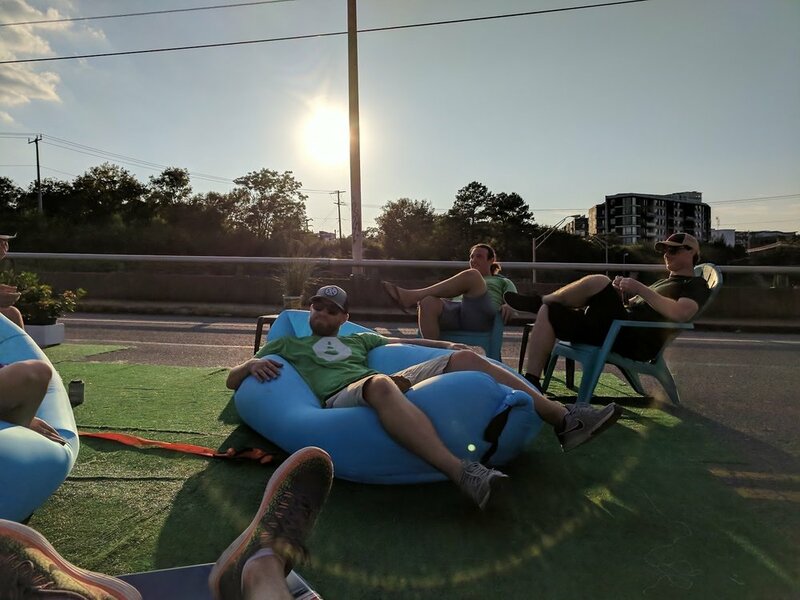 Open Streets provide stimulus to local businesses, offer a setting for greater civic participation and integration, and build support for the provision of broader transportation choices. Bogota, Colombia is the birth place of Ciclovia, but since its inception many cities across the country and the world have since adopted and adapted the tradition as their own. 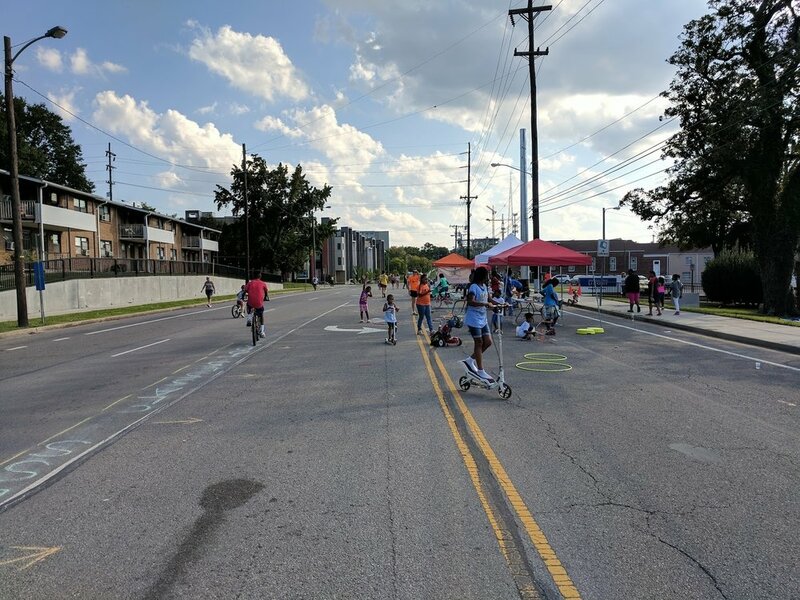 Open Streets Nashville was a 2.5 miles of 12th Ave South on September 17th, 2017. This iconic stretch connects the Gulch, Edgehill and 12th South neighborhoods. The event was from 2pm with a parade and continued until 6pm. 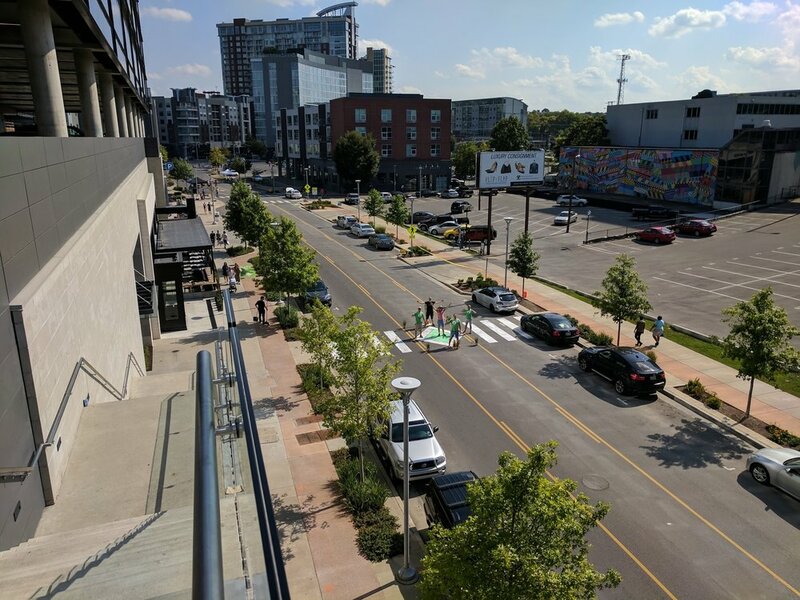 TURBO created a pop up crosswalk at the bottom of The Gulch Crossing stair case with hopes to further the conversation about a permanent mid-block crosswalk here. 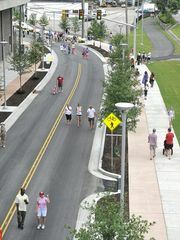 More photos from open streets! Open Streets Nashville was a 2.3 miles of 12th Ave South on October 30, 2016. This iconic stretch connects the Gulch, Edgehill and 12th South neighborhoods. The event was from 1:30pm with a parade and continue until 6pm. 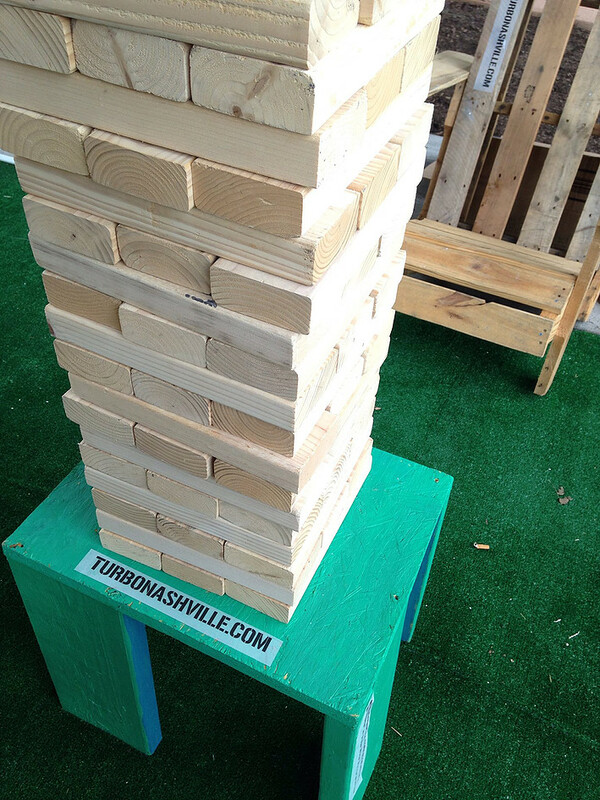 All of Nashville was invited to walk, bike, skate, and play in the streets with us in this fun, free and family-friendly event. TURBO created temporary safe bike turn lanes that make it easy to cross traffic to the left hand bike lanes on South St if you are coming from 12th Ave.
Open Streets programs, also known as Ciclovias, open streets to people and close them to cars, encouraging participation in physical activity and healthy recreation along an area of approximately one to five miles long. 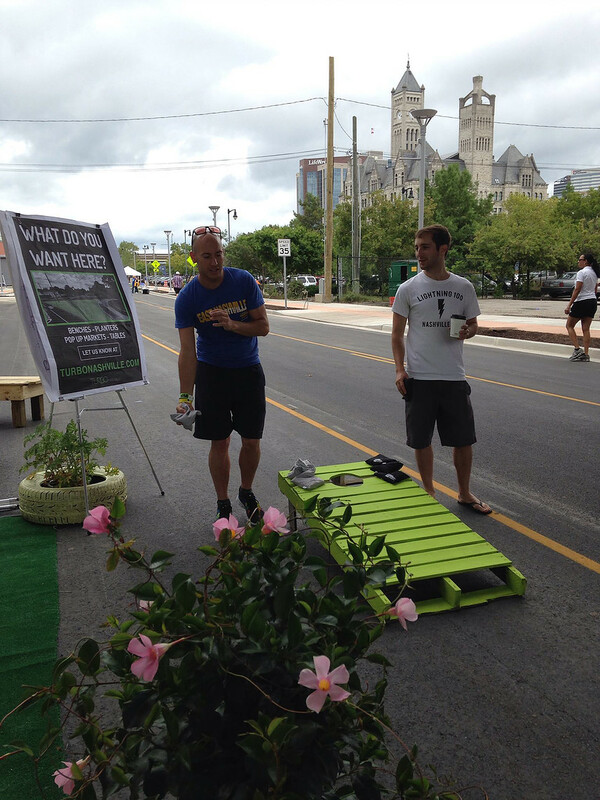 They are free and offer communities the opportunity to experience their city streets in a whole new way. At Open Streets there are no finish lines, parades, or sidewalk sales—which set Open Streets apart from other events like marathons or street festivals. 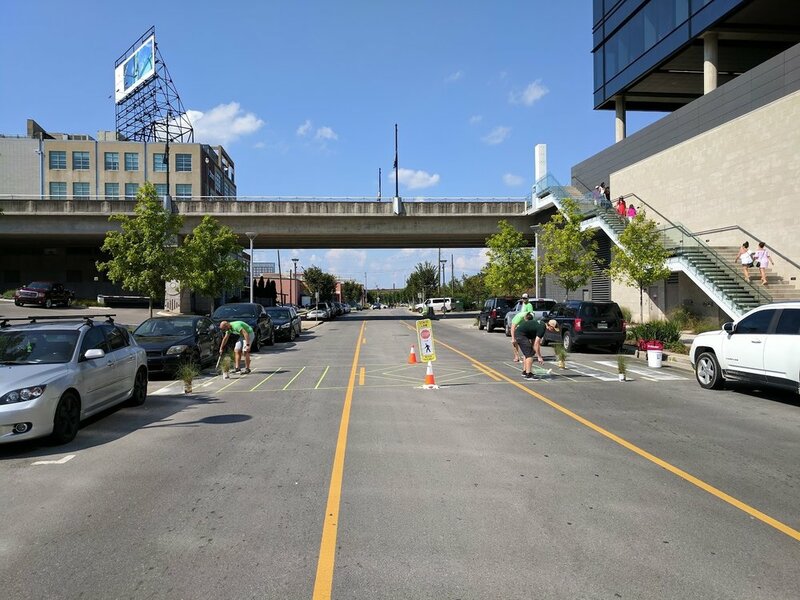 Open Streets can provide stimulus to local businesses, offer a setting for greater civic participation and integration, and build support for the provision of broader transportation choices. Bogota, Colombia is the birth place of Ciclovia, but since its inception many cities across the country and the world have since adopted and adapted the tradition as their own.